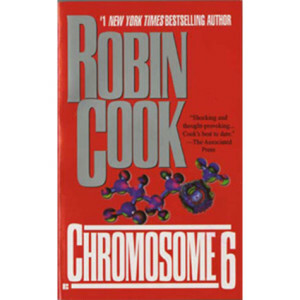 The fifth novel in the Jack Stapleton & Laurie Montgomery series, Marker, dives into the world of human genome studies. The two leads in the series, Stapleton and Montgomery, are a quirky duo of medical examiners. They solve the mystery using opposite methods: Laurie goes by-the-book while Jack does whatever it takes, regardless of the rules, to solve the case. Although a classic and clichéd character set among detective novels, the duo’s unique characters and their relationship are enthralling in Marker. They begin investigating a series of mysterious deaths at Manhattan General Hospital and discover that one of them may have a genetic marker in common with the deceased patients. They must solve the case before time runs out. 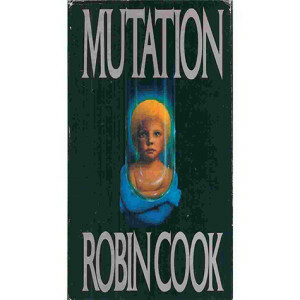 A classic Robin Cook thriller, Mutation, tells a modern day Frankenstein story. Dr. Frank Victor is playing with experimental gene engineering to design a perfect son. Hiding the whole experiment from his wife, Marsha, Dr. Victor succeeds in creating his prodigal son. As VJ grows up, the reader begins to see that VJ is quite different from his peers. Finally, Marsha starts seeing worrisome signs, but her husband dismissed her pleas. As the story goes on, as expected, things start spiraling downward. A fun read for those interested in genetic engineering, Mutation teaches how gene engineering works and warns of the dangers it poses. Although Cook delves far from fact in this one, he brings up some interesting issues in the medical community. 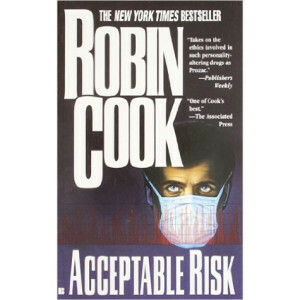 In Acceptable Risk, Robin Cook tells the thrilling story of the excitement and danger that goes along with playing around with experimental drugs. The drug in focus is a personality-altering drug designed by a biochemical engineer. In order to fast track the drug, he opts to start testing the drug on himself, as do his co-workers. As imaginable, the plot thickens, as matters get worse. Acceptable Risk is a fun read with a detailed backstory, building suspense and strong finale. It would be especially interesting to readers interested in commercial drug development and the pharmaceutical industry. Cook is of the opinion that the industry is fueled by greed and there is little care for the actual health of patients. Charles Martel, a gifted cancer researcher, is thrown into a terrible dilemma when he discovers his daughter, Michelle, has leukemia. Devoting his life to finding a cure before it is too late, Martel is a deeply troubled protagonist. Earlier in life, he watched his wife struggle through cancer, ultimately losing the battle. Before recovering from his loss, he realizes it’s all happening again with Michelle. He is not only dedicated to finding a cure before he loses another person he loves, but he is out to destroy the cause of Michelle’s cancer, Benzene which had been dumped into the local river by a recycling factory. Some readers may find Martel’s anger excessive, but to anyone who has lost loved ones to cancer, it is justified. Despite being slightly dated, Fever is a sensational tragedy with well-developed characters and a gripping plot. Robin Cook’s favorite duo, Jack Stapleton and Laurie Montgomery, are at it again in the fourth book in the series. Although part of a series, Vector, makes an excellent standalone read. The villain, Yuri Davydov, has not had the best luck since leaving his life in Russia to pursue the American Dream. Beat down by the system, the enraged taxi driver lashes out at America. Teaming up with a group of white supremacists, Yuri plans to release bioweapons in New York City. Dr. Stapleton and Dr. Montgomery both are given evidence of the planned malevolence by Davydov and his team. Jack has a patient with a rare case of anthrax, while Laurie finds evidence of the bioweapons on the remains of one of the white supremacists. As Yuri and the skinheads get closer to releasing devastation on NYC, there is growing fear that the doctors won’t break the case. Vector is a thrilling ride with Cook devotees’ favorite team. Will they solve the case before NYC is demolished? Toxin is a must-read for those interested in the meat industry in America. Although fiction, Toxin presents a real issue in America, the subpar quality of meat being churned out by the American food industry. When Dr. Kim Reggis’ daughter is infected with E. Coli, Kim follows the convoluted trail through the corrupt medical community and lucrative meat industry. This is a great read for those interested in Americas food industry. Even though it was written almost 20 years ago, it is even more pertinent today. 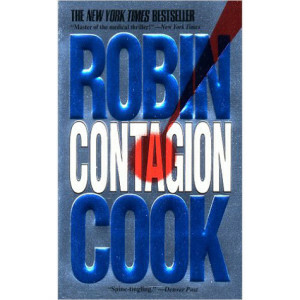 With all the recent cases of E. Coli and other food-borne pathogens, everyone should read Toxin to understand the worrisome truth of the American food industry. The second book in the Jack Stapleton and Laurie Montgomery, Contagion, is a riveting thriller. When Dr. Stapleton is called into work early due to a few patients suffering unknown deaths. It appears to be a rare and extremely deadly flu but Jack gets suspicious of foul play. As he investigates and begins to uncover some dark secrets, a gang is hired to kill him. Good thing for Jack, his friend is the head of another local gang and has his back. A gang war ensues and between the gang murders and virus deaths, the bodies start piling up. Dr. Stapleton, with the help of Laurie and others, grinds out solid detective work to find out who is behind the virus deaths and how they obtained so many rare viruses. 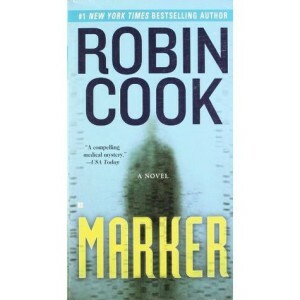 Robin Cook delivers a tooth-grinding thriller about the dangerous possibilities of genetic engineering. In this third installment in the Jack Stapleton and Laurie Montgomery series, Jack is off to Africa to solve another case. A lab in the jungles of Africa is playing with gene manipulation and cloning by extracting the short-arm of chromosome 6. The scientist in charge, Dr. Kevin Marshall, succeeds in organ cloning trials but for ethical and religious reasons, the discovery is kept quiet. The money-hungry Genetics company, Gensys, picks up some American clients. Dr. Stapleton and Dr. Montgomery are brought into the story when they discover an irregularity during an autopsy of an infamous Mafia leader, Franconi. Many parts of his body are missing, including the liver and Jack suspects a liver transplant but the liver is a DNA match to Franconi. Disturbed by this discovery, Laurie and Jack are on the hunt for the truth. 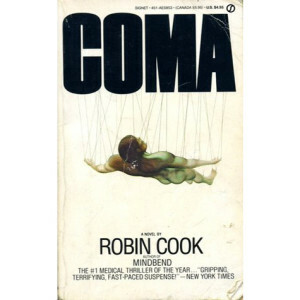 First published in 1977, Coma focuses on Susan Wheeler, a third-year medical student at Harvard. She’s a determined, intelligent and caring woman moved by the unfortunate fate of one of her comatose patients. When she discovers there have been other related cases, she is determined to find the cause. At a time when the feminist movement was in full force, Susan Wheeler is at a point in her life where she is questioning whether a career in medicine is making her less of a woman. This may seem ridiculous in today’s world, but in the late 70’s, there were probably many women having similar internal deliberations. So while she is unsure of herself, she knows she must uncover the truth behind the comas. Coma is a suspenseful ride that is still enjoyable 40 years later. Although a lot has changed in medical science, it’s a fun look back on medicinal technology and education. 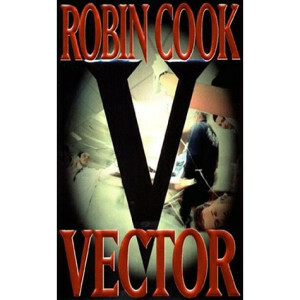 As with all the best Robin Cook novels, bodies rack up not only from medical issues, but all around Susan. When she discovers too much, a hit man comes after her and people are being murdered so their body parts can be harvested. Once you pick up Coma, good luck putting it down. 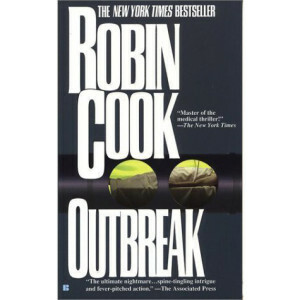 Outbreak is the crème de la crème of Robin Cook novels. It’s a fast-paced murder mystery about a deadly virus. When a young CDC doctor is sent to LA to investigate several cases of a virus, it turns out to be a very dangerous strain of Ebola. As cases start popping up around the country, Dr. Marissa Blumenthal uncovers some dark secrets among the medical community. What she uncovers will throw the whole medical community upside down. After enjoying Outbreak, pick up the sequel, Vital Signs, where Marissa is now struggling to have children and has already undergone several attempts at in vitro fertilization. It’s an interesting look at experimental fertilization and the controversial subject of creating and destroying life.